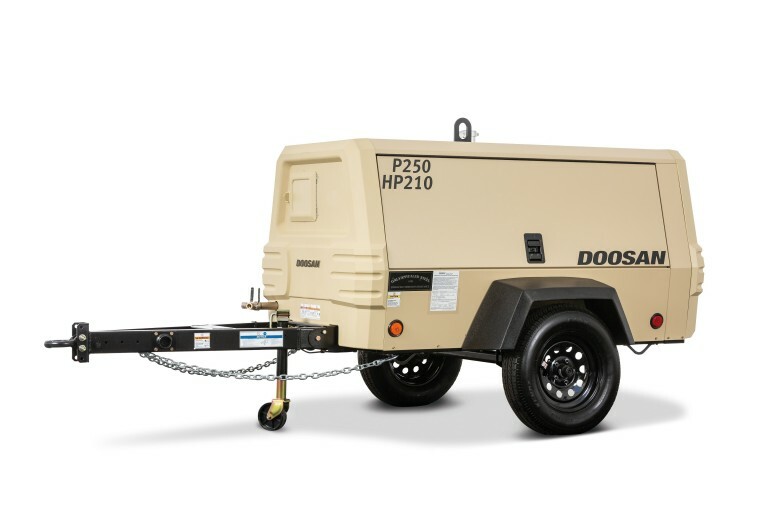 The P250/HP210-T4F portable air compressor from Doosan Portable Power is ideal for a wide variety of applications. Powered by the reliable Doosan D24 engine, the P250/HP210 produces 250 cfm at 100 psi or 210 cfm at 150 psi, making it the perfect portable air compressor for sandblasting, construction, or pneumatic tool operation. The compact design and versatility of the P250/HP210 make it a natural choice for any job or worksite.